In the aftermath of a man-made or natural disaster, lines of communication are often the first thing to go. Equipment or networks not damaged immediately might be rendered inoperable from the flood of calls from family and friends trying to find out if loved ones in the disaster zone are safe. What can you, the modern survivalist, do to increase your chances of keeping survival communication lines open? What sort of equipment should you have? 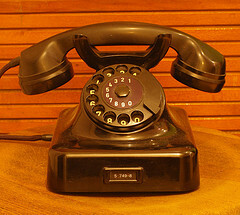 Keep in mind that cordless telephones need electricity to work. No electricity means no communication if that’s all you have. 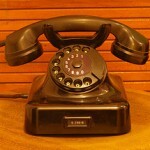 Strangely, the old rotary style of telephone can work even in the absence of electricity. Cost? If you can find one in a secondhand store – about five bucks. Your cell phone might work sporadically or not at all. Sometimes cells are overwhelmed with incoming calls and you can’t get find an open circuit. Often it’s easier to call out of the disaster area than in. This isn’t the last word on survival communication but it’s a start.